We all know how annoying it is when people insist on using their phones while walking (until the inevitable moment when we all become that person). But on top of being obnoxious, texting while walking can also be dangerous. Between 2010 and 2014, emergency room visits that involved pedestrians distracted by their phones rose by 124 percent, according to a Wall Street Journal analysis. 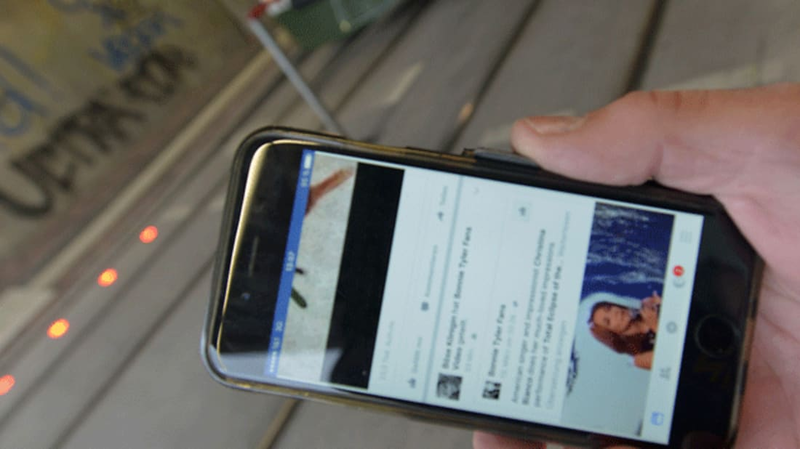 In an effort to keep people from walking in front of trains while deciding whether to like or love a Facebook post, Germany is now experimenting with traffic lights built into the street, City Lab reports. A transportation provider in Augsburg, Germany, has installed traffic signals into the asphalt of two of the city's rail stations as part of an ongoing trial. When the street is safe to cross, the LED traffic lights flash green. When there's a tram approaching, they flash red to get the attention of any pedestrians with their eyes glued to a screen. The lights are also visible from far away, which could prove useful to cyclists (who approach the tracks at a much greater speed) as well as distracted walkers. The new feature is still in the experimental stages for now, but if it's successful we could see them spread throughout Germany and eventually overseas. And as pedestrian fatalities in continue to increase in the U.S., they'd likely be a welcome addition to our streets.